Bookmaking has come a long way in the last 22 years, we have gone from dingy backrooms to spacious offshore call centers and now, we are in the digital era. But, it doesn’t stop there, the industry continues to grow and expand in unexpected directions, keeping up is not easy, or is it? 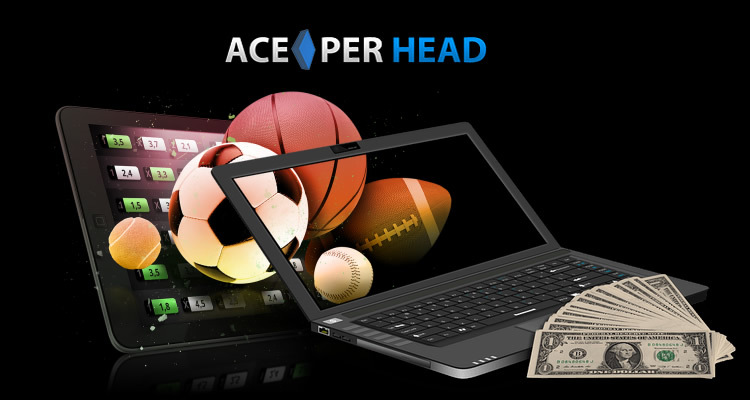 AcePerHead.com makes it possible for bookies from all over the world to not only keep up but lead the way in sports betting. Their secret is really no secret at all, you have heard this from business gurus for years, use only the best, dream big and do things right the first time. Using the best betting software is step number one, Ace’s platform has incredible frontend features that provide a great betting experience for players. From one single account and balance, players can have access to the sportsbook including the VIP Live games, casino, and live casino, and horses. The backend of the software, however, is where the magic happens, the agent dashboard is equipped with all the necessary tools to manage any size package including sub-agents. Their advanced reporting system was created specifically to support pay per head agent’s operations, making it easy to view win/loss per day, week and month, detailed player reports show win/loss across all products, settle reports make paying and collecting a breeze. But it is the custom features that have been added to the backend that make it the best betting software imaginable. This shows all wagers that are coming in through every channel, it also provides information about the wager the player is about to submit, this gives the line managers precious seconds to adjust the line if needed before the wager comes or right after it is accepted. Agents can view all wagers from this report, providing a quick overview of the player and package. Having all the information you need to set your paying and collection schedule for the week, handed to you in a concise and quick manner will make your life so much easier. Agents have the capacity to move their own lines remotely if you would rather have your employees or yourself handle the movement of your odds, then you have full freedom to do so. This invaluable report, will give you and up to the minute view of your exposure on a game, making it easy for you to make decisions, should you lay off some action to offset possible losses or will just adjusting the line balance your risk? With the newest custom feature added by Ace Per Head.com, you can set up the system to send you automated real-time alerts when a wager of a certain amount is placed over online, you can specify which players interest you and the alert can be sent to either your phone as SMS text or to your email. There is only one pay per head service that looks out for you and improves their betting software and customer service year after year, and that is Ace Per Head.